Home » Health » Oral Healthcare » Kid's Oral Care » When do Kids Start Losing Teeth? When do Kids Start Losing Teeth? When do primary teeth fall out? This is a question that interests both parents, and their children. For the parents, it means probable dental visits, blood and some crying if it is painful. For children, it means the excitement of getting a new tooth, coupled with the anticipation of waiting for the tooth fairy. The answer is that all the primary teeth have an age, during which they fall out. The period is different for each tooth and more importantly, for each child. The age that your dentist tells you is an average, and it is not necessary that your child’s milk teeth will fall at that time. Do not panic if your child’s teeth fall off before or after that time. There are teeth eruption and shedding charts which you can refer to for more knowledge about your child’s teeth. 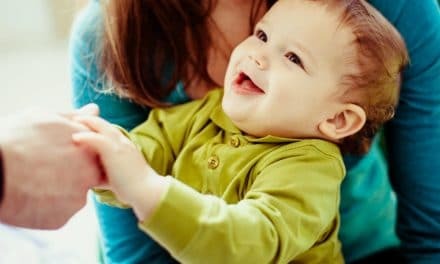 By the first six months of life, the first primary tooth erupts, and by two to three years of age, your child should have all his twenty primary teeth. Losing the first primary tooth will probably be when your child is about six years old, and the process will continue until the age of thirteen. However, tooth shedding is a very person specific process and depends on many factors. The overall growth rate of your child, the genetic build up, and the rate of development of the corresponding permanent teeth- these are some factors that will decide when a primary tooth is ready for exfoliation. Most primary teeth will become mobile in their socket when the time for shedding is near. If your child has an excessively decayed tooth, it can break off in parts with the root remaining inside. In this case, the pediatric dentist will extract the root. If your child has shown delayed eruption for the teeth, it is likely that the age of exfoliation will also be later than predicted. An excellent way to remember tooth shedding sequence is that the teeth usually fall off in the same sequence that they erupt. This means that your child’s front teeth will be the first ones to go. Here is a simple table to tell you about the different ages that each baby tooth falls out. Many internal and environmental factors govern tooth development and eruption. This means that there can be numerous reasons why your child’s tooth has not erupted on time. Before you enter into a state of panic about early or delayed shedding, keep these factors in mind and seek knowledge from your dentist. The pedodontist is the best person to decide if anything is amiss regarding your child’s teeth. It could also be possible that your child shows all growth milestones early in their life. Bone development and height are some signs which can tell you about the early eruption. Timely dental visits will tell you if your child is at risk of developing any of these. A child may have an ankylosed tooth, which is why it may not have shed despite crossing the exfoliation age. Ankylosis is a condition in which the tooth is fused to the underlying bone, because of which it does not fall off. See your dentist if you suspect ankylosis. If the corresponding successor of a particular primary tooth is impacted or missing, there is delayed shedding. This happens because the eruptive forces of an adult tooth play a role in shedding of a primary tooth. Dental radiographs will tell the dentist about this condition. Disorders like hypothyroidism, hypopituitarism or Down’s syndrome delay exfoliation. A child has many anxious moments in anticipation of losing a tooth and getting a new one in its place. If you feel that the milk teeth are not falling out as per the tooth charts, you can address your concerns with the dentist, to be at ease. Remember that teeth don’t have a fixed day and time to erupt, and each child will go through the shedding process at a different age. NextSFTP – Simple or SSH File Transfer Protocol or Both? When do Babies Start Laughing? How to Giggle Them? Thumb Sucking – Possible Complications & How to Deal With It?